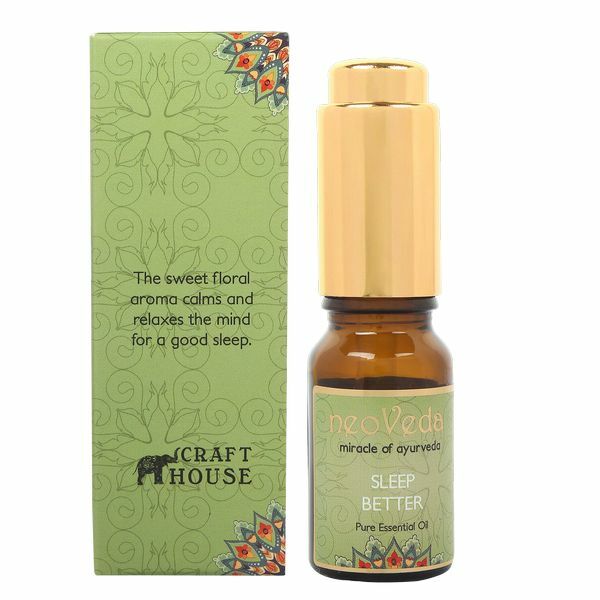 The sweet floral aroma relaxes the mind. 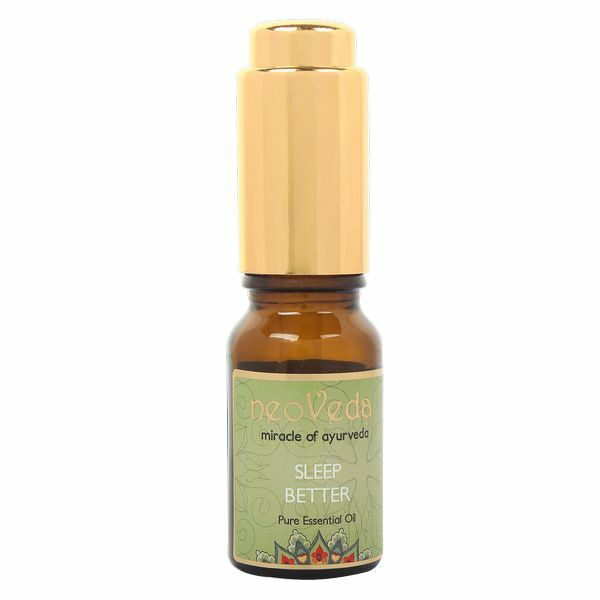 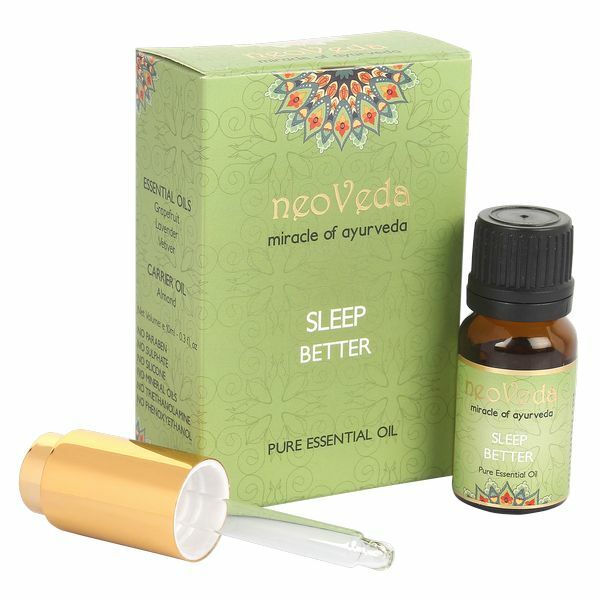 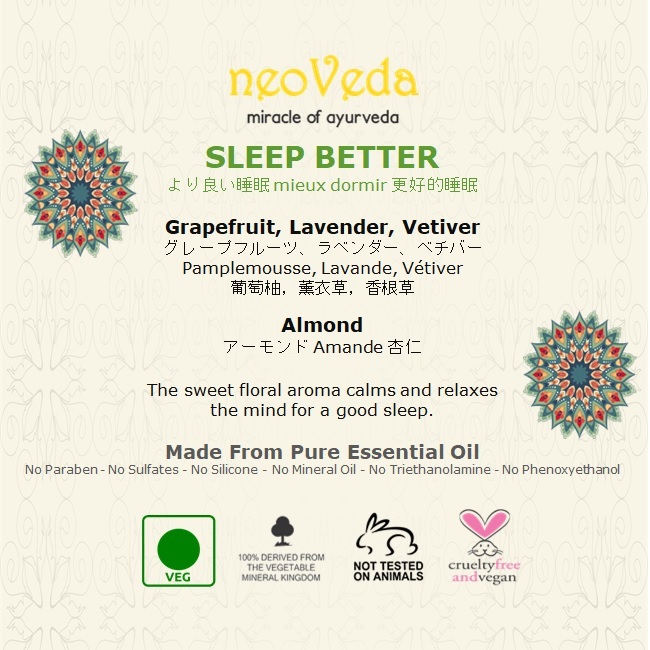 Neoveda sleep better oil can be applied directly on skin. 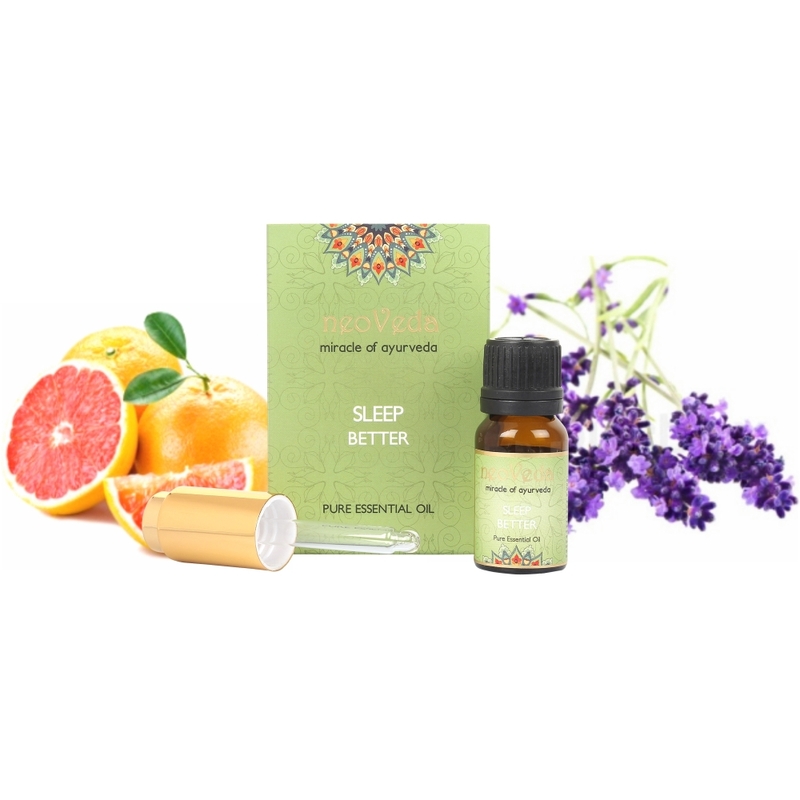 Citrus paradisi (Grapefruit) oil, Lavandula angustifolia (Lavender) oil, Vetiveria zizanioides (Vetiver) oil & Prunus dulcis (Almond) oil. 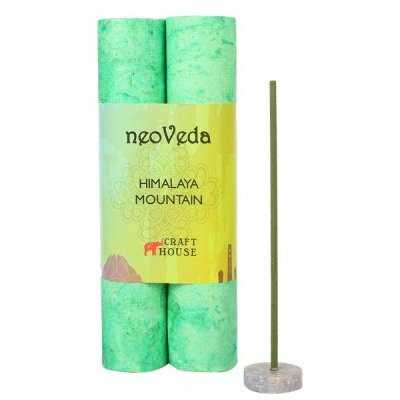 Massage on temples, pulse & feet.